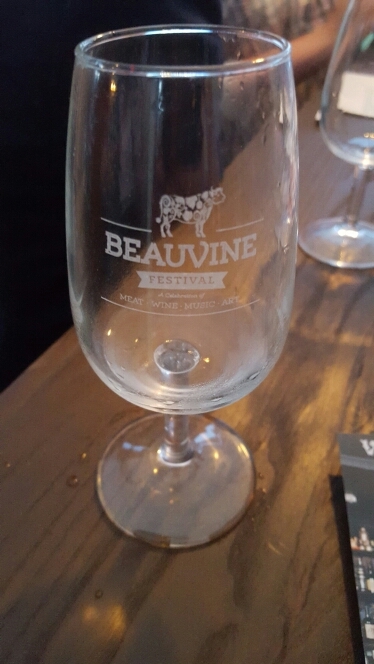 This weekend, Perth hosts the Beauvine Festival held in Birdwood Square, Highgate. Thanks to Zomato I was able to attend and I’ve just returned and had to share a few snaps! We arrived and were gifted a souvenir glass to take form wine stall to stall. 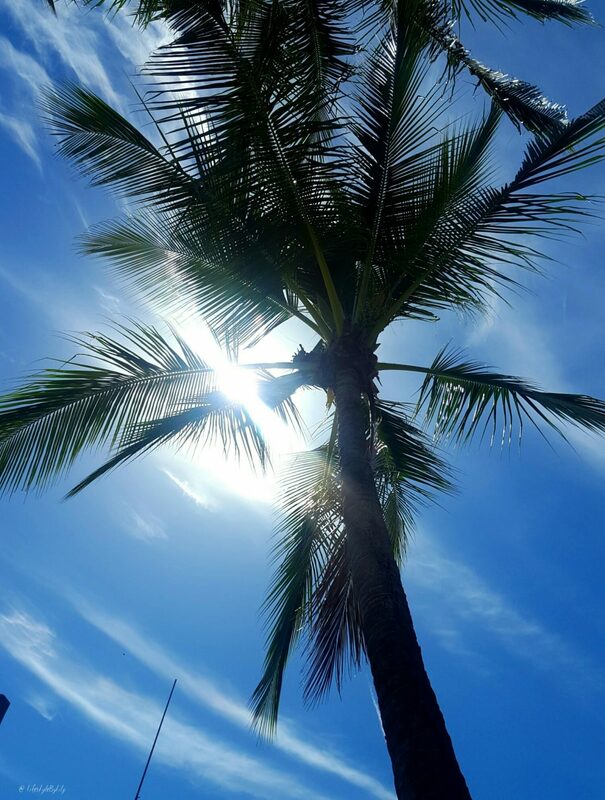 With food, wine, masterclasses and live entertainment on offer, what more could one want. There are a few food stalls to choose from, most providing snacks. The main hot food vendor is Heads Will Roll. 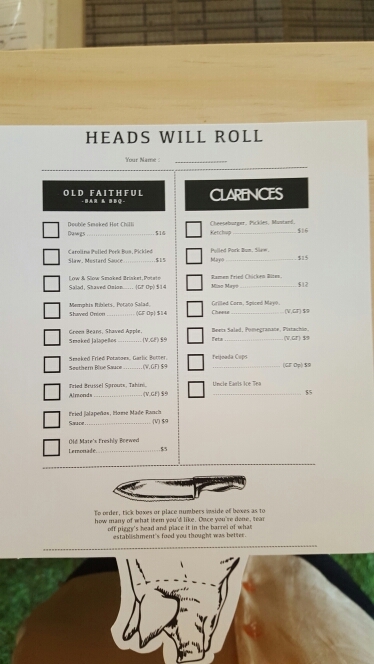 It gives you the choice between dishes from ‘Old Faithful’ or ‘Clarences’ which you can then rate following your experience. 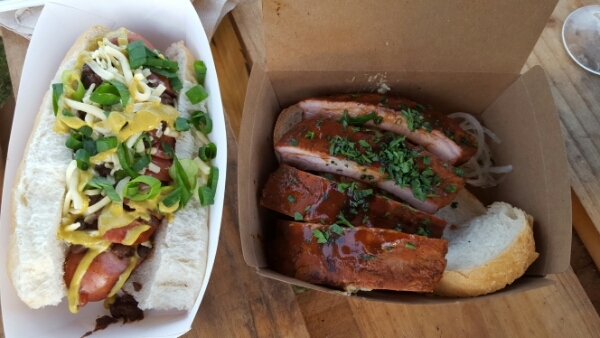 We thought Old Faithful was more our styles and ordered the Double Smoked Hot Chilli Dawg ($16) and the Memphis Riblets, Potato Salad & Shaved Onion ($14). It took quite some time to receive our food, even though it was still early in the evening. Down to the food, the hot dawg was delicious! It was a great all rounder dish! It’s a pity the ribs were not as mouthwatering as they look! They were over cooked and extremely dry with nothing to add flavour or moisture. The potato salad was an underwhelming small portion of potatoes…nothing special, and this is coming from an Irish foodie who loves her potatoes! There is a vast range of wine, wine and more wine! From those I met and spoke to, the exhibitors are mainly based in W.A. but there were a few people spoke to who were interstate also. 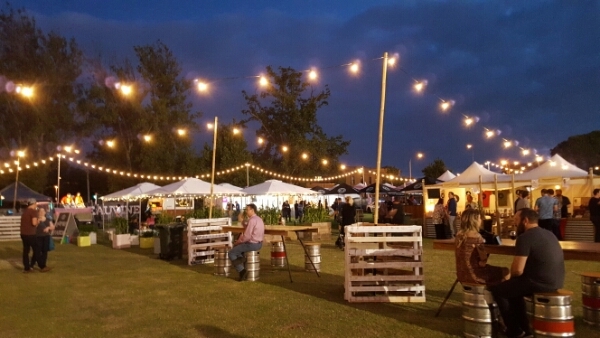 The majority of wine and beer stalls are located in the centre of the venue with more dotted around the outside amongst the food and art stalls. Many of those I spoke to were there representing their own vineyards and you could tell by the passion and enthusiasm they exuded while conversing. 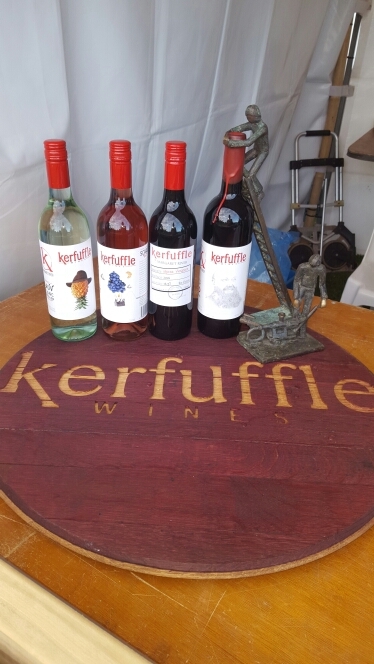 Wine connoisseurs can stroll around from stall to stall sampling the food and wine while listening to a DJ and acoustic songwriters placed on opposite ends. If you are over the wine, or just need a break, you can browse the candle and arts goods also. Overall, I really enjoyed the evening. I met some enthusiastic and passionate people and went as far as purchasing a few bottles of wine to take home. As it was a chilly Friday night, I hope to squeeze in another visit to the festival over the weekend. There is so much food and wine to be tasted! Part proceeds from every ticket go to local charity Short Back & Sidewalks, a not for profit charity based on the streets of Perth that provides dignity to people in need by giving haircuts free of charge. I’m hoping to go back again, lots of wine to be had!